US-Palestinian interaction is to be suspended – not just at the senior levels but in day-to-day interchanges. The administration has notified Palestinian and other Arab parties to stop addressing queries on political and economic matters to the US consulate in Jerusalem, because they will not receive answers. The status of the PLO office in Washington will be reevaluated with a view to shutting it down. Above all, they will not be welcome at the White House or the National Security Council where US Middle East policy is designed. 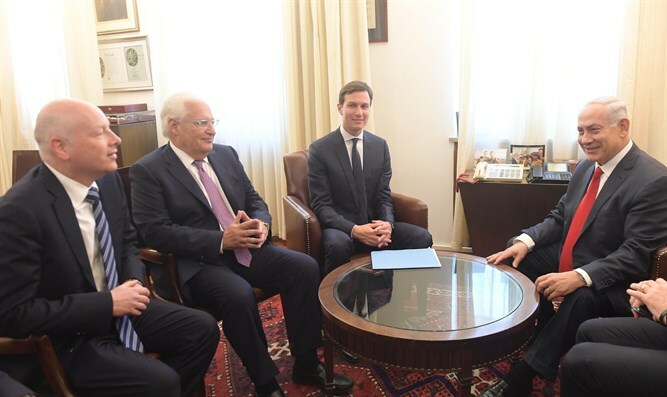 Senior US officials congratulated the senior Palestinian negotiator Saab Erekat, who also holds the PA’s American portfolio, on his recovery from illness, at the same time warning him that he would no longer be received at the White House. For many years, “Palestine” has not stopped aspiring to new heights in the so called “international community”. “Palestine” has been present at the Olympic Games since 1996, and, later, became a permanent observer to UNESCO and the United Nations. The vast majority of the 95 “embassies” of “Palestine” are in the Muslim world; many others are in Asia, Africa, Latin America and Europe. In 2014, the Spanish Parliament voted in favor of full recognition of “Palestine.” A few weeks later, the French Parliament did the same. There is no other instance in the history of the world where a state that does not exist can have missions and embassies presumed to function as if that state did exist. Now the time has probably come for the “Palestinians” to realize that they have lost and fall back to earth, as noted by the scholar Daniel Pipes. Have “Palestinian” leaders been showing by their speeches and actions that they are ready to rule a state living in peace with their neighbors and with the rest of the world? All “Palestinian” leaders have incessantly incited terrorism, and do not hide their wish to wipe Israel off the map. Reports from the West Bank after the Six Day War show that the Arabs defined themselves in interviews as “Arabs” or “Jordanians”; they evidently did not know that they were the “Palestinian people”. Since then, they were taught it. They were also taught that it is their duty to “liberate Palestine” by killing Jews. The Palestinians are the first people invented to serve as a weapon of mass destruction of another people. Is there at least a historic past that gives legitimacy to the aspiration to create a “Palestinian state”? The answer again is actually no. There is no Palestinian culture distinct from the cultures of the Muslim Arab world, no monument that can be defined as a “Palestinian” historic monument, except by falsifying history. More basically, would a hypothetical “Palestinian state” be economically viable? Again, the answer is actually no. Territories occupied by the Palestinian movements survive only thanks to international financial assistance from the West. How then could so many countries wish for so long to create a state whose rulers would likely be regressive, corrupt “Palestinian” leaders; whose inhabitants would be used as killing machines, whose history is non-existent-to-falsified and whose economic potential seems zero? Behind their support for the creation of a “Palestinian state”, those countries have been pursuing other goals. For decades, countries of the Muslim world obsessively wanted one thing: the destruction of Israel. They tried to reach their goal through conventional warfare, then terrorism, then diplomacy, then propaganda. They blamed only Israel for all the evils of the Middle East. All the while, they know who the “Palestinian” leaders are and what they do. They know that the “Palestinian people” were invented. They know why the “Palestinian” people were invented. They know that a “Palestinian state” will not have a viable economy. Yet they have been committed to a strategy of destabilizing and demonizing a non-Muslim nation, Israel. They call the “Palestinians” “victims“; terrorism, “militancy”; and incitement to kill, “resisting occupation”. They have been trampling rightful history and replacing it with myth. They press “Palestinian” leaders to “negotiate”, knowing perfectly well that no agreement will ever be signed and that negotiations will end in bloodshed. They propose only “peace plans” they know Israel must reject – those which include the “’49 ‘Auschwitz‘ armistice lines” or the “right of return” for “Palestinian refugees”, who numbered half a million in 1949, but near five million today. They recognize a “Palestinian state” while knowing that the “state” they recognize is not a state, but rather a terrorist entity without defined borders or territory, and imbued with a will to spill more blood and create more mayhem. They have relied on turmoil, blackmail and lies to encourage the rest of the world to think the situation requires drastic international intervention. They have been saying they want a “Palestinian state”, but never that they want this state to renounce terrorism and end the conflict. Instead, they have been waging a vicious war they have long hoped to win. For more than thirty years, they benefited from the support of the Soviet Union. It financed wars (1967, 1973), terrorism, diplomacy and propaganda. The Soviet Union made the “Palestinian” enterprise an “anti-imperialist” cause — a means of strengthening Soviet positions and galvanizing the enemies of the West. The Soviet Union collapsed in 1991, but the effects of its support for the “Palestinian cause” for a time remained. Many countries hostile to the West still support and recognize the “Palestinians” while pretending to ignore that they are recognizing a terrorist entity. They are contributing to war. Countries of the Western world, subjected to the pressures of the Muslim world and the Soviet Union for many years, have gradually given way, some even before any pressure was applied. France chose its camp in 1967, when General Charles de Gaulle launched what he called an “Arab policy” after its defeat in Algeria. French foreign policy become resolutely “pro-Palestinian” -– in an apparent effort to deflect terrorism, obtain inexpensive oil and compete with the US — and has remained so to this day. Western European countries have gradually adopted positions close to those of France. Since the collapse of the Soviet Union, the European Union has become the main financier of the “Palestinian cause”, including its terrorism. Western European leaders know what the real goals are, yet they repeat without respite that creating a “Palestinian state” is “essential“. They are also contributing to war. Although a long-time ally of Israel, the United States changed its Middle East policy in the beginning of the 1990s to positions closer to those of the Muslim world. American politicians and diplomats pressured Israelis to negotiate with “Palestinian” leaders and seemed to have lost sight of what the “Palestinian cause” was secretly about. Wishful Israeli leaders agreed to negotiate. The tragic result was the Oslo Accords and the creation of the Palestinian Authority (PA). It quickly became a new base of anti-Israeli terrorism. A wave of lethal, anti-Israel attacks started immediately, with a stepped-up anti-Israel diplomatic and propaganda offensive right after. A “two-state solution” was invoked. American leaders, as if they had slept through several years, started to say that a “Palestinian state” had to exist. Three American Presidents proposed “peace plans“, also contributing to war. An additional “peace plan” is expected soon, but the parameters will be profoundly different. President Donald Trump appears to wish to break with the past. He recently told Palestinian leader Mahmoud Abbas that “Palestinian” leaders were liars. None of the American negotiators he chose seems to have the slightest illusion about the “Palestinian” leadership or the “Palestinian cause”. The Taylor Force Act, passed on December 5 by the US House of Representatives, plans to condition US aid to the “West Bank and Gaza” on “the actions taken by the Palestinian Authority to end violence and terrorism against Israeli citizens”; the Act could be adopted soon by the Senate. The PA rejected all the requirements in the Act. The Muslim world is also undergoing change. Iran, strengthened enormously by the agreement passed in July 2015 and the massive US funding that accompanied it, has been showing its desire to become a hegemonic power in the Middle East. The mullahs’ regime now holds three capital cities in addition to Teheran: Baghdad, Damascus, and Beirut. Iran attacks Saudi Arabia and supports the war led by the Houthi militia in Yemen; it intends to seize Sanaa and take control of Bab El Mandeb, the gateway to the Red Sea and the Suez Canal. Qatar and Turkey have established close ties with Iran. Saudi leaders appear aware of the danger. King Salman chose his son, Mohamed bin Salman, as heir to the throne, and gave him broad powers. “MBS”, as he is known, seems intent on leading a real revolution. Militarily, he is head of the 40-member Islamic Military Counter Terrorism Coalition, and has declared his desire to “end terrorism”. Economically, he is in charge of an ambitious reform project aimed at making his country less dependent on oil: Saudi Vision 2030. All Saudi leaders in disagreement with the new orientations of the country were placed under arrest and their assets confiscated. Mohamed bin Salman has identified Iran as the main enemy, and recently described its Supreme Leader, Ali Khamenei, as a “new Hitler.” Qatar and Turkey have been subjected to intense Saudi pressure to distance themselves from the Iranian regime. The grand mufti of Saudi Arabia, Sheikh Abdulaziz ibn Abdullah Al ash-Sheikh, recently issued a fatwa saying that “fighting the Jews” is “against the will” of Allah and that Hamas is a terrorist organization. Mohamed bin Salman has the support of the Trump administration; Vladimir Putin who, while being allied to Iran, may want a balance of power in the Middle East, and Xi Jinping, who is facing the risk of a Sunni Islamic upheaval in China’s autonomous territory, Xinjiang. “Palestinian” leader, Mahmoud Abbas was reportedly summoned to Riyadh, where King Salman and Mohammed bin Salman told him that he had to accept the plan proposed by the Trump administration or resign, and that it would “risky” for him to consider launching an uprising – which he has anyway, although being careful to keep it lukewarm. During the month of October, Egyptian President Abdel Fattah al-Sisi, a close ally of Mohamed bin Salman, invited the leaders of the Palestinian Authority and Hamas to come to Cairo for a “reconciliation”. He apparently demanded control of the Gaza Strip to be handed to the Palestinian Authority. It also seems that the Trump administration and President Sisi told Hamas leaders that they had to approve the terms of the “reconciliation” agreement, and that if they carried out any attacks against Israel, they risked complete destruction. The “peace plan” evidently to be presented by the Trump administration is provoking the extreme anger of “Palestinian” leaders. The goal of the “plan” seems to be to revive an open ended “peace process”, allowing Saudi Arabia and the members of the Islamic Military Counter Terrorism Coalition to move closer to Israel and push the “Palestinian cause” toward the back burner. On November 19, an Arab League emergency meeting held in Cairo strongly condemned Hezbollah and Iran. Moreover, for the first time in fifty years, a meeting of the Arab League did not even mention the “Palestinian” question. President Trump’s recognition on December 6 of Jerusalem as the capital of Israel has led to restlessness and acrimony both in the Muslim world and among Western European leaders. Sunni leaders allied to Saudi Arabia, however, as well as Saudi Arabia itself, seem too concerned about the Iranian threat to quarrel with Israel, the United States or really anyone. Western Europe has almost no weight in what is taking shape; all it has shown is cowardice, fear, and continued contempt for a fellow Western democracy: Israel. Palestinian Authority President Mahmoud Abbas, now in the twelfth year of his four year term — and apparently seeing that he is getting little support — appeared to seek divine intervention: he asked the Pope for help. There would be “no Palestinian state without East Jerusalem as its capital,” Abbas said. He sounded as if he had begun to understand that the “Palestinian cause” could be fading, and, with other “Palestinian” leaders, called for “three days of rage“. A few protesters burned tires and American flags – the usual. Turkish President Recep Tayyip Erdogan called on the Organization of Islamic Cooperation to convene in Istanbul on December 13, and urged leaders of Muslim countries to recognize Jerusalem as the “occupied capital of the Palestinian state”. Saudi King Salman stayed well away as did almost all other Sunni leaders. He only sent a message saying that he calls for “a political solution to resolve regional crises”. He added that “Palestinians have right to East Jerusalem” – the least he could do; he did no more. Erdogan is mainly supported by Iran, today’s foremost enemy of Saudi Arabia and other Sunni countries. “It will not be the end of the war against Israel,” said Israeli Prime Minister Benjamin Netanyahu, “but it could be the beginning of the end of the “Palestinian cause”. It now seems a good time for Western European leaders who still blindly support the “Palestinian cause” to cut their losses, both politically and economically. Taking the side of Erdogan and the mullahs in order to support a terrorist entity that will never be a “state” will do nothing to help them fight either terrorism or the increasing Islamization of Europe. Abbas (Abu Mazen) paid an urgent visit to Riyadh to meet Prince Muhammed. Since then, a continuous stream of tidbits is emanating from their conversation. According to one report, the Saudi prince put before the Palestinian leader an American-Saudi blueprint. It proclaims Abu Dis, a village located on the fringes of east Jerusalem, as the capital of the future Palestinian state. That state would have limited sovereignty in parts of the West Bank, while all the Jewish communities would remain in place. East Jerusalem would not be declared its capital; and the Palestinian refugees’ “right of return” was dropped, as was mention of the pre-1967 boundaries. The Palestinians have three major grievances with the Trump administration on Jerusalem, but are most irked by Saudi backing for the Trump peace plan. 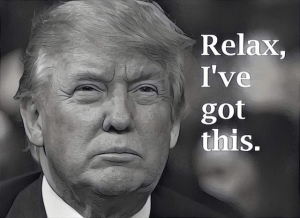 Palestine rage over President Donald Trump Jerusalem decisions was further fueled Friday, Dec. 17 by the comment from Washington: “We cannot envision any situation under which the Western Wall would not be part of Israel. But, as the president said, the specific boundaries of sovereignty of Israel are going to be part of the final status agreement.” It came with the announcement that Vice President Mike Pence will pay a visit to the Western Wall next Wednesday’ Dec. 20, during his Middle East tour. Not too long ago, President Trump himself visited the Western wall on May 22. But then, American security officers excluded their Israeli counterparts from safeguarding the visit, claiming it took place outside Israeli territory. border. Eight months later, Trump has restored Israel’s sovereignty to the Western Wall, which encloses the hallowed compound of the last Jewish Temple, in time for his vice president to pray there. For the Palestinians, this is another Trump-administration shift in Israel’s favor and its consequent loss of credibility as an honest broker for the Palestinian-Israeli dispute. The Palestinian Authority in Ramallah reiterated this position Saturday, after announcing a boycott of the Pence visit and severing contact with Washington – a position they can’t really afford to sustain for long. But what is really irking them even more than the Trump administration’s pro-Israeli stance on Jerusalem is its endorsement by their longstanding champion, Riyadh. The impression gaining ground in recent weeks is that Trump’s son-in-law Jared Kushner has reached an understanding with Saudi Crown Prince Muhammed bin Salman (MbS) on a new plan for resolving the Israeli-Arab conflict, which departs fundamentally from the traditional core issues that scuttled all past peace processes. Its support by the Saudi crown prince and Egyptian President Abdel-Fatteh El-Sisi. The uncertainty of Prime Minister Binyamin Netanyahu’s future in the face of long-running police probes against him. The constant erosion of Mahmoud Abbas’ standing as Palestinian Authority Chairman, whose rapidly diminishing popularity, due to his advanced age of 82 and the corruption rife in Ramallah, is reflected in the latest Palestinian opinion poll on Dec. 7-10. (70 percent want him to retire: 84 percent on the West Bank and 26 percent in the Gaza Strip). Washington has therefore chosen a moment of leadership weakness to push ahead with its plans to resolve the Israeli-Palestinian dispute. A week before the NYT report, Abbas (Abu Mazen) paid an urgent visit to Riyadh to meet Prince Muhammed. Since then, a continuous stream of tidbits is emanating from their conversation. According to one report, the Saudi prince put before the Palestinian leader an American-Saudi blueprint. It proclaims Abu Dis, a village located on the fringes of east Jerusalem, as the capital of the future Palestinian state. That state would have limited sovereignty in parts of the West Bank, while all the Jewish communities would remain in place. East Jerusalem would not be declared its capital; and the Palestinian refugees’ “right of return” was dropped, as was mention of the pre-1967 boundaries. Since the original Saudi Peace proposal which the prince called Plan A was dead, it is necessary to move forward to Plan B. Plan B is essentially as follows: The State of Palestine would be established in the Gaza Strip plus large tracts of territory to be annexed from northern Sinai. Egypt has agreed to this outline. This deal would essentially render irrelevant the Palestinian demand to restore the pre-1967 boundaries for their state. These reports are furiously denied by Palestinian officials and, although no other official source, including Prince Muhammad, has verified them, they continue to abound. The Palestinians now have three major grievances against the Trump administration for which they are cutting off ties with Washington in protest: Recognition of Jerusalem as Israel’s capital, the promise to move the US embassy from Tel Aviv to Jerusalem and, now, the declaration of the Western Wall as part of Israel in any political solution. This will be underlined by the Pence visit. Yet neither Washington nor Riyadh shows any sign of backtracking on their far-reaching plan which defies all former conventions. Abu Mazen is in a jam. Even if he tries to distance himself from Washington, he cannot possibly divorce the Palestinians from the two leading Arab nations, Saudi Arabia and Egypt, which would lop off the branches of the Arab tree on which they sit. Doing so might well thrust Ramallah on the path of the anti-West Turkish-Iranian-Hizballah axis and its extremist ideology. There are early signs that his rivals in Gaza, the radical Hamas, may be adopting this path. After Friday prayers in the mosques of Gaza, on Dec. 15, some of the demonstrators at the Israel border force were seen for the first time holding aloft huge placards with depictions of Gen. Qassem Soleimani, Commander of Iranian Revolutionary Guards Al Qods. If Iran can gain solid inroads into the Palestinian community at large, its dispute with Israel would assume an entirely new dimension. The Western Wall, part of the retaining walls of the Second Temple compound, is the closest point of prayer for Jews to the site of the Temple itself and thus the Jewish people’s holiest place of prayer. It was captured along with the rest of the Old City and East Jerusalem in the 1967 war, and annexed by Israel as part of its united capital — a move not recognized internationally. WASHINGTON — A senior administration official told reporters on Friday that the White House “envisions” the Western Wall will remain part of Israel under any accord with the Palestinians. The comments follow US President Donald Trump’s December 6 declaration that recognized Jerusalem as Israel’s capital. They are certain to delight Israeli leaders — the Western Wall is the holiest place where Jews are allowed to pray — and infuriate the Palestinians, who claim East Jerusalem, including the Old City, as the capital of their intended independent state. “We cannot envision any situation under which the Western Wall would not be part of Israel,” the official said, speaking ahead of US Vice President Mike Pence’s visit to Israel next week. “But as the president said [in his speech last week on Jerusalem], the specific boundaries of sovereignty of Israel are going to be part of the final status agreement,” the official said. The Israeli Foreign Ministry declined to comment on the remarks and there was no immediate reaction from the Palestinians. Pence is due to arrive in Israel on Wednesday. His trip was delayed so that he could help push a tax reform bill through Congress that Trump heavily supports. While in Israel for three days, Pence will speak at the Knesset, visit Yad Vashem, and is slated to light a menorah at the Western Wall, which stands adjacent to the Temple Mount, the holiest place in Judaism and site of Al-Aqsa Mosque, Islam’s third holiest shrine. Pence is likely to visit the Western Wall without accompanying Israeli officials, just as Trump did in May. Trump, who became the first ever serving president to go to the Wall, said that part of his trip to Israel was a private visit. Before Trump’s visit to the Wall, no serving US president had ever visited the Western Wall, because US policy has been that the final status of Jerusalem has yet to be resolved in Israeli-Palestinian negotiations. Pence will not meet with Palestinian Authority leader Mahmoud Abbas or Palestinian officials on his visit — since they refused to see him in protest over Trump’s recent decision. In his address from the White House last week, Trump defied worldwide warnings and insisted that after repeated failures to achieve peace, a new approach was long overdue, describing his move as a “recognition of reality” — based on Jerusalem’s status as the seat of Israel’s government. His declaration, welcomed by Netanyahu and Israeli leaders across most of the political spectrum, prompted widespread violent protests in the region; four Palestinians died on Friday during clashes with Israeli forces in the West Bank and Gaza, including one who was shot after stabbing an Israeli Border Police officer. Amid these developments, the White House also announced on Friday that it would deploy its top peace envoy Jason Greenblatt to the region next week to try and advance the administration’s peace efforts. “As we have said since the Jerusalem announcement, we anticipated reactions like the ones going on in the region but are going to remain hard at work on our peace plan,” a senior administration official told The Times of Israel.